Before I get into the meat of the post (pun intended), I just wanted to mention that you might have noticed it's been a little quiet around here lately. I took a somewhat spontaneous blog vacation and I think it was definitely needed. Sometimes you have to just unplug and step back for a little bit. In my time away I had a TON of good ideas and blog posts that you guys will be seeing in the next few weeks! Pretty excited to be back. Ok, now let's talk about German food. 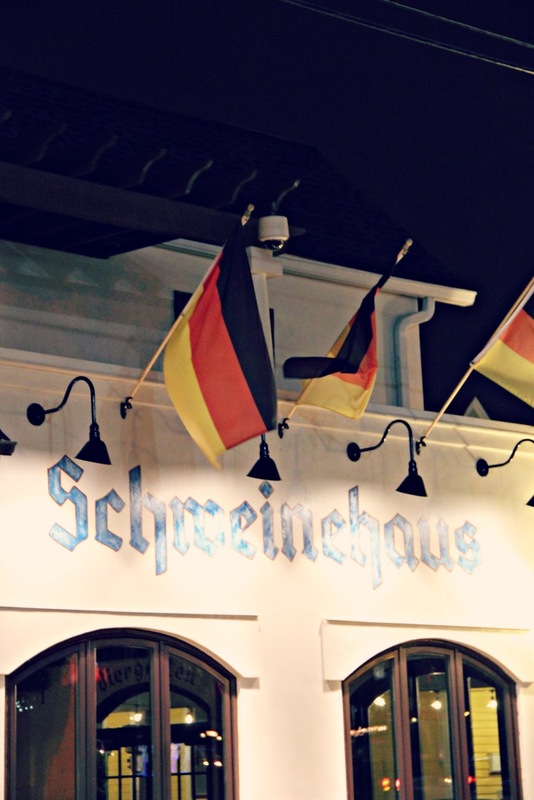 This weekend, Jeremy and I finally were able to go over to Overton Square to try the (relatively) new restaurant, Schweinehaus. According to their website, the two brothers who opened this restaurant strive to "provide an atmosphere that feels like Germany in Midtown Memphis without all the dinosaurs." They definitely delivered... we didn't see one dinosaur! Between the community tables and the German flags, the atmosphere is on point. The only thing missing was a man in lederhosen. The menu is full of German dishes that I had never heard of but all sounded extremely delicious. I ordered the Müll Spatzel which is a German egg noodle with vegetables and sage butter. Simple but delicious. Jeremy ordered the Jagerschnitzel which was pork schnitzel, hunter sauce, mashed potatos, and braised red cabbage. The restaurant was a slightly dark so my pictures didn't turn out too good. 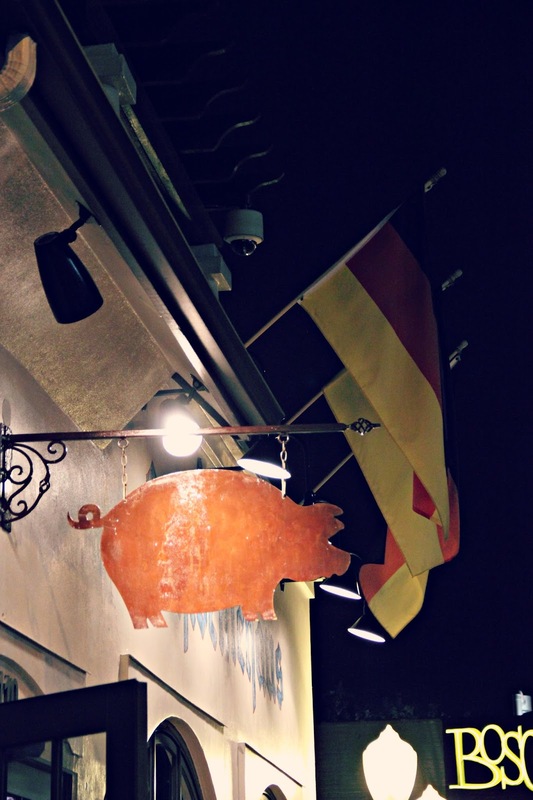 SO instead of sharing some dark, unappetizing pictures, you should just go to Schweinehaus as soon as you can to experience the dishes yourself. I could probably count the number of times I've had German food on one hand so this probably isn't a place I'll be frequenting weekly. I will say, though, that this is a great restaurant to go to with a group of friends. The large community tables and array of items on the menu make this place an ideal hangout spot. Love the pics! I have many of those of myself, so funny! And I haven't had German food too much either, but the long tables and beer steins definitely make for a fun atmosphere! Check This Out Homepage "